Did you ever wanted to monitor click through (number of clicks) on your Ad banners on your blog or any other that is pointing towards your product or a blog in general? 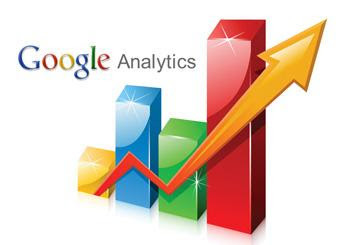 Say you won an Ad Spot on a certain blog and you wish to monitor the traffic inflow via that Ad banner, that there is a very easy way out by which you can monitor almost every metrics in Google Analytics via custom campaigns. Before we start of with the procedure, you may like to read 6 Crucial Metrics To Monitor Your Blog's Growth in general. 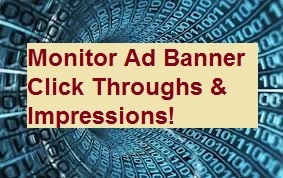 In this post, we will follow through 2 simple steps for monitoring traffic through Ad banners. First, we will create custom URLs (using Google URL Builder) followed by monitoring the traffic through those custom links in Google Analytic campaigns panel. Go to URL Builder. There are 3 important parameters fields that you need to fill in. 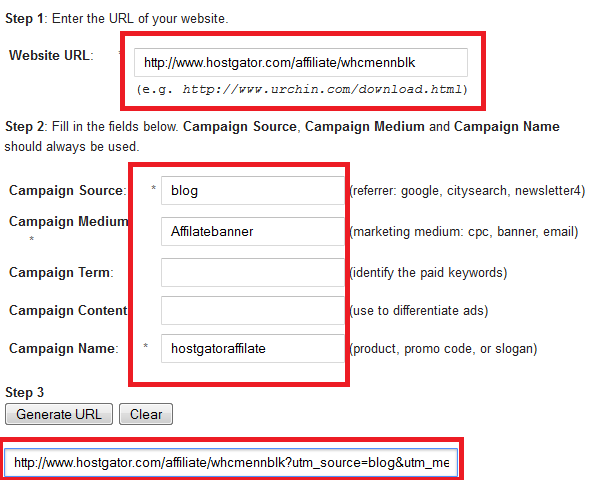 Once you would enter all these parameters name, you would hit 'Generate URL' button and that would incorporate all those parameters with in your desired link that you wish to monitor. You can than use that link with in your Ad banners. The above parameters have no more importance than to make you understand you campaign much easier. Say in case you name than randomly, even than your traffic would be monitored, but its always recommend to name than wisely so that it would be easy for you to recognize them later in Google Analytics campaigns panel. *The affiliate link i showed up in the picture above is just for the sake of an example. Notice, when we hit 'Generate URL' button after filling in the fields, it would automatically incorporate all the parameters into the URL. Now simple place this custom link into your Ad banner. It would take few hours to populate the metrics in campaigns panel for your new banner. Be patient and it would eventually show up. Hope that was easily to follow and in case of any help, leave out a comment below.